Beau Keathley threw six scoreless innings against the Northern Kentucky University Norse in the second game of a double header to help Oakland baseball secure their second series victory of the season. 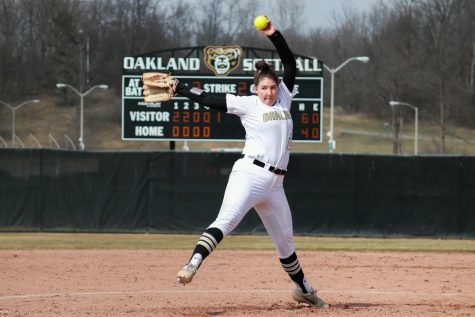 After defeating the Norse the day before and dropping the first game of the double header earlier in the same day, the Golden Grizzlies shut out Northern Kentucky, 4-0, and won the series. Keathley struck out eight batters while only allowing three hits, and the offense took care of business as well, scoring in four separate innings. Four different Golden Grizzlies drove in a run, and five different position players recorded at least one hit. 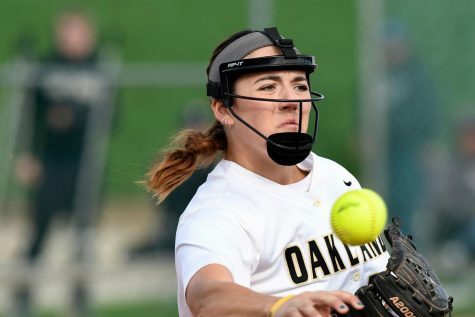 This win secured Oakland their second straight series win and their second Horizon League series win. 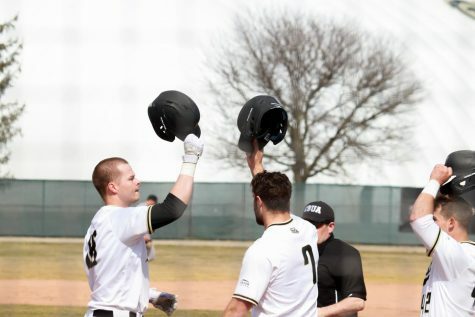 With their second straight 2-1 series win, the Golden Grizzlies improved their Horizon League record to 4-5 on the season, good for fourth in the league, tied with Northern Kentucky. After a single game against Eastern Michigan University on April 5, the baseball team will face off against the No. 3 University of Wisconsin-Milwaukee in a three game series this weekend. The women’s golf team competed in the Colonel Classic this past weekend in Richmond, Ky. The ladies took third place in the tournament, finishing only behind Eastern Michigan University and Northern Illinois University. The team finished with a final score of 904 strokes, which put them at +40 total for the event. The event was three rounds long, and Alexis Jones recorded an event-low score of 68 in the first round. Jones also set a school record for a three round score with her total score of 219 at the event, which was +3 total. She broke the previous record that was set on March 12 by one stroke. 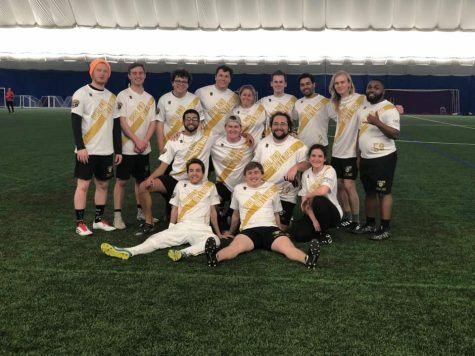 This was the second to last tournament of the year for the Golden Grizzlies, who compete in their final regular season tournament this weekend in Bowling Green, Ohio at Bowling Green University. After that, the team takes a two week long break before the Horizon League Tournament which starts on Sunday, April 21. The home opener for the tennis team ended in a 7-0 sweep of the Green Bay Phoenix. Six of seven Oakland tennis players defeated their singles opponent in straight sets, with only Ava Thielman needing three sets to defeat her opponent. The Green Bay doubles teams only managed to get two points total against the Oakland doubles teams, and Thielman and Sofia Borcuti defeated their opponents 6-0. The next day on Sunday, March 31, the Golden Grizzlies faced off against another Horizon League opponent, the Milwaukee Panthers. Much like against the Phoenix, Oakland was able to take care of business and defeat the Horizon League foe. This improved the team’s record to 3-1 in the Horizon League. The tennis team next faces off against the Cleveland State University Vikings in Cleveland, looking to win their third event in a row and improve to 4-1 in the Horizon League standings.